When it comes to indoor plants, a variegated ivy plant can add some sparkle and jazz to an otherwise boring room, but care of a variegated ivy differs somewhat from the care of other kinds of ivy. Read on to learn more about variegated ivy care. 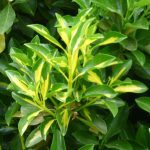 Variegated ivy leaves will typically have green and white or yellow markings. The white and yellow areas on the variegated ivy leaves lack chlorophyll. Chlorophyll serves many purposes, the main ones being producing food for the variegated ivy plant and protecting the plant from the rays of the sun. This means that because of the variegation, variegated ivy care is slightly different than normal green ivy care. First, a variegated ivy plant needs less sunlight and it must be placed out of direct sunlight. Proper care of a variegated ivy requires that you place the ivy plant in indirect or filtered bright sunlight. Variegated ivy leaves will burn if placed in direct sunlight. Variegated ivy will do best on a window sill behind a sheer curtain. The second secret to variegated ivy care is to significantly reduce the amount of fertilizer you give the plant. Because variegated ivy leaves have less chlorophyll, the plant produces less energy for growth. This means variegated ivy plants grow much slower than their all green cousins. Because they grow slower, they need much less food in the soil. The best fertilizer care of a variegated ivy is to fertilize only once a year, at most. Even then, do so only lightly. If you fertilize your variegated ivy any more than this, excess fertilizer will build up in the soil and can kill your plant. Variegated ivy leaves are caused by a genetic factor in the ivy plant, but, without proper variegated ivy care, a variegated ivy plant can revert to the more standard green leaves. One key factor is sunlight. While a variegated ivy plant can’t take direct sunlight, they do need bright sunlight. Without bright sunlight, the plant cannot make enough food from its chlorophyll to support itself. In order to survive, the plant will start to grow leaves with more green area. If left like this, the plant will eventually grow only green on the leaves. If this occurs, move the plant to brighter sunlight. The variegated ivy leaves should return over time. Occasionally, a variegated ivy plant will spontaneously revert to green leaves. You will know if this occurs because only part of the plant will be growing green leaves while the rest is fully variegated. If this happens, simply trim off the non-variegated ivy leaves to encourage growth of the right colored leaves. Read more articles about Ivy.